Jonathan Bennett was born today, June 10, in 1981 in Rossford, Ohio. He is an American actor and model. He is known for his roles as Aaron Samuels in the 2004 comedy film Mean Girls, Bud McNulty in 2005's Cheaper by the Dozen 2 and the title character in the 2009 direct-to-DVD comedy Van Wilder: Freshman Year and his recurring roles as Casey Gant in the UPN mystery drama Veronica Mars and J. R. Chandler in the ABC soap opera All My Children. 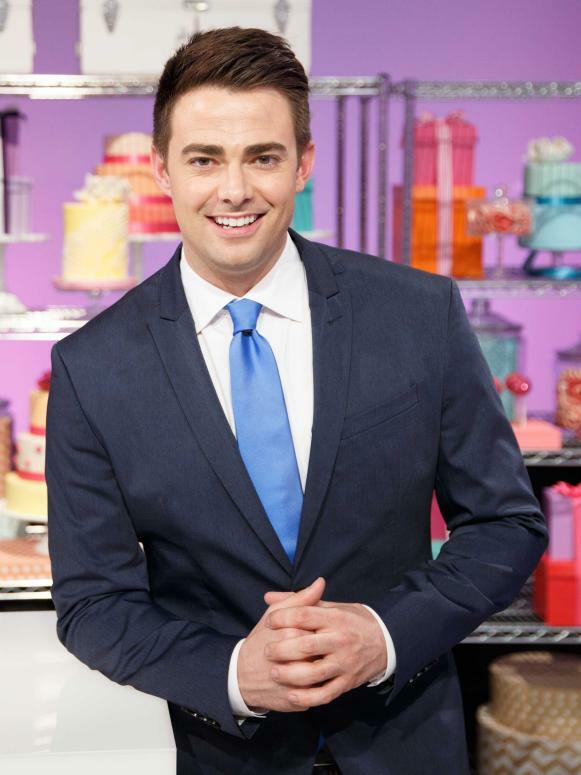 He is also the host of Food Network's show Cake Wars. 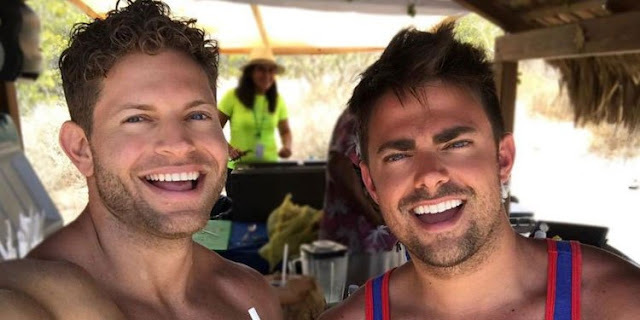 Bennett came out as gay in October of 2017, and revealed he was in a relationship with former Amazing Race contestant and current Celebrity Page host Jaymes Vaughan (above left with Bennett). On September 4, 2014, Bennett was on the 19th season of Dancing with the Stars. He was paired with professional dancer Allison Holker. Bennett's personal motivation for joining the Dancing with the Stars cast was in memoriam of his parents; his father having recently died from brain cancer, and his mother died the year prior, and they were both fans of the show. Bennett and Holker were eliminated on Week 6 of competition and finished in 9th place. Read more about Bennett here.